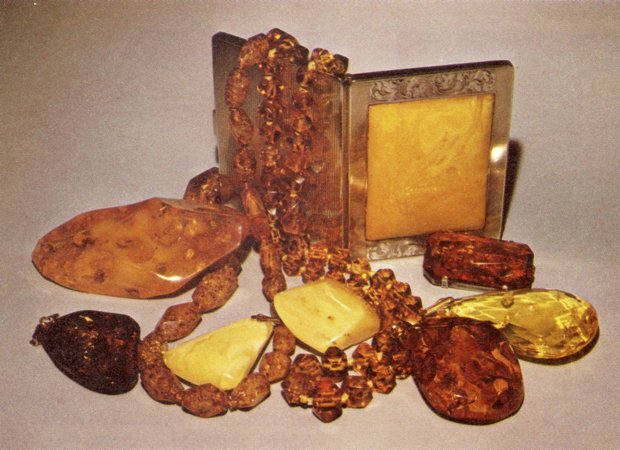 Amber, Baltic Sea area (various cut gems and utility objects). Photo © Joel E. Arem, PhD, FGA. Used with permission. Amber is the hardened resin of ancient pine trees. This organic substance is perhaps most well known for the incredible inclusions of insects and plant matter that can be found within it. People have been making jewelry from amber for over 10,000 years, which could make it the first gem material ever used. Our fascination with amber continues today. It’s fairly common, easy to work, and a constant wonder to the eyes. Amber’s most common colors are yellow, orange, and brown in various shades. 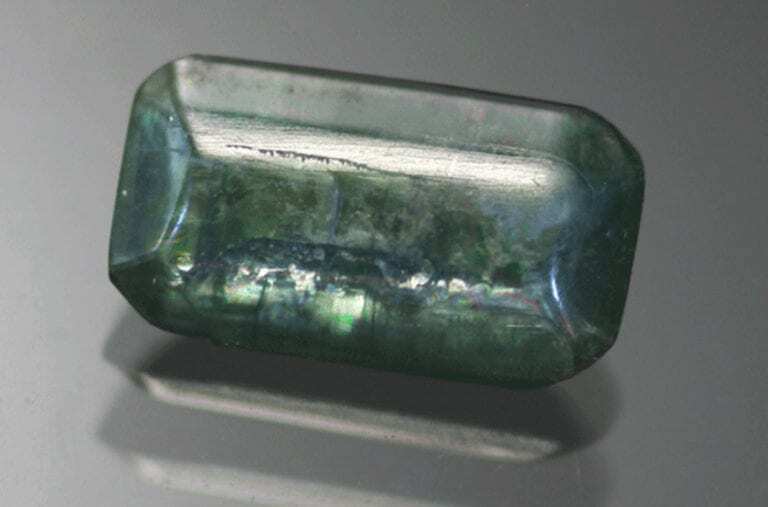 Pieces with green, blue, or violet tints due to extreme fluorescence are rare. Amber also has a wide range of transparency. 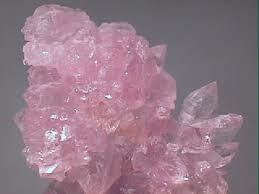 The transparent material is used almost exclusively for jewelry. Amber is often used for beads (tumble polished or faceted), pendants, earrings, and rings. The opaque material is frequently carved into artistic ornaments and inlays and practical objects such as pipe stems and umbrella handles. Amber is also burned as incense and used as an ingredient in perfumes. 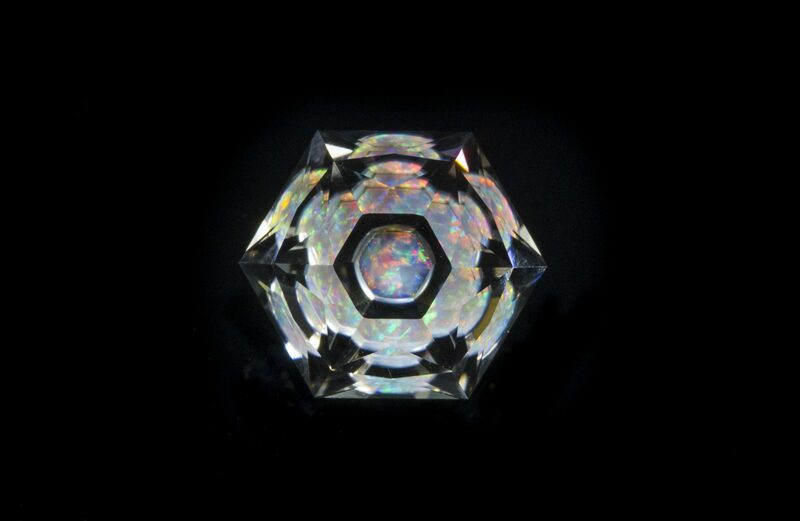 The highest values go to those pieces with clearly visible insect inclusions, light colors, and clarity. Since the Jurassic Park movie, the most popular inclusions are mosquitos. 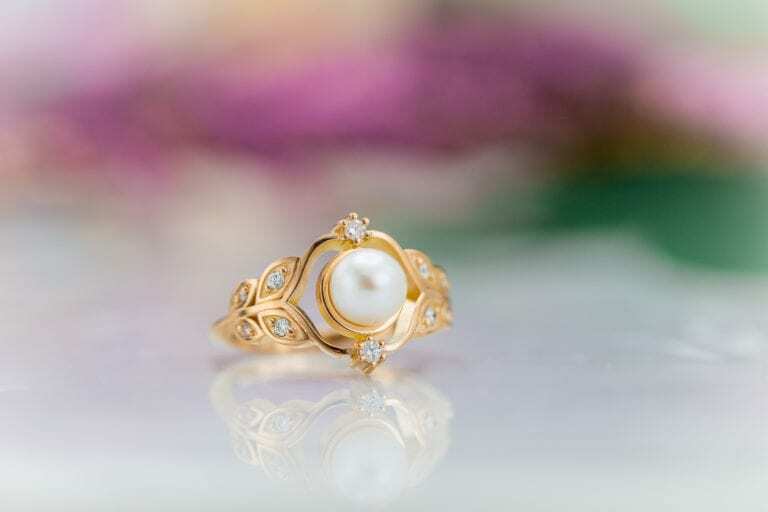 Inclusions of plant material, while of great interest to scientists, add little to the value of jewelry. 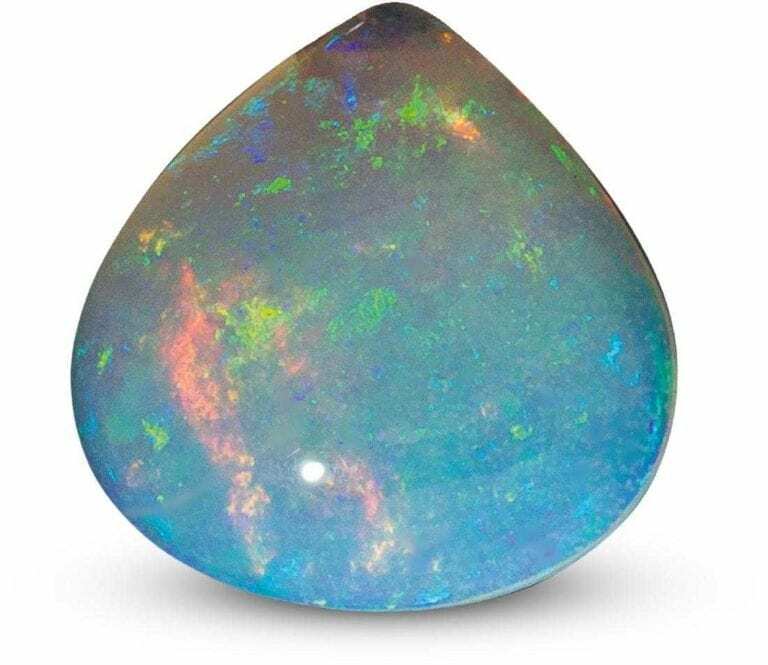 (These inclusions are often too small to be recognized easily). Very large amber pieces are extremely rare. 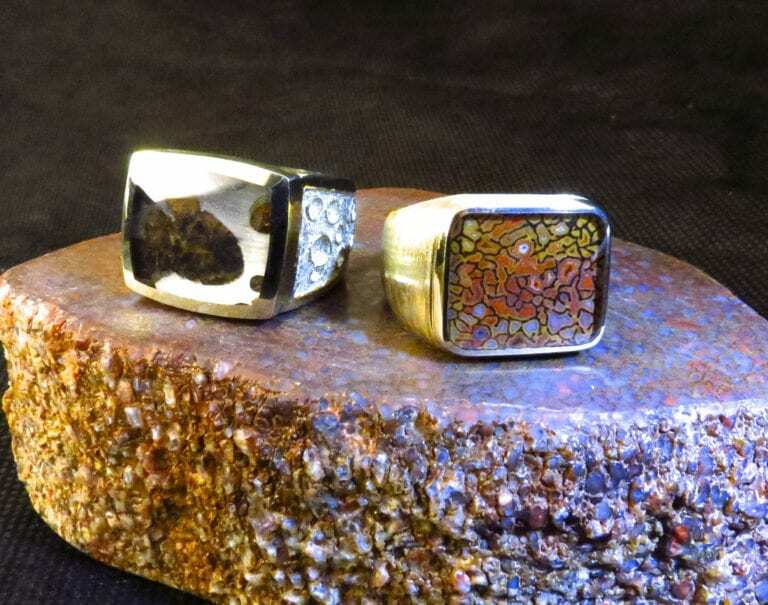 Good quality material is seldom used for anything but jewelry. Amber, Dominican Republic (with insect inclusion). Photo © Joel E. Arem, PhD, FGA. Used with permission. 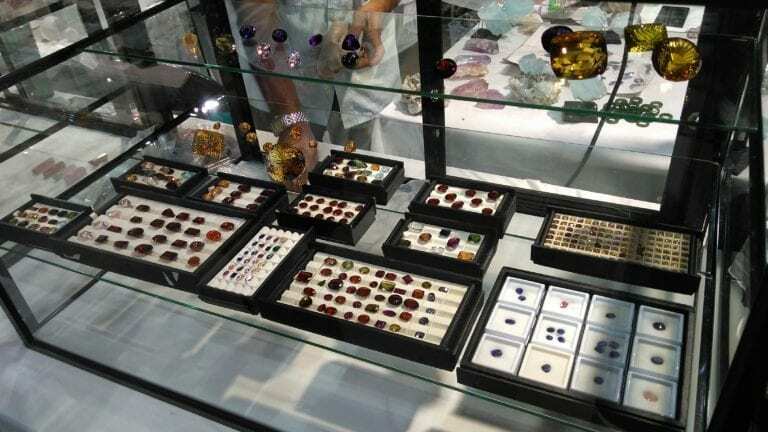 Prices may be higher for pieces with inclusions of rare insects. Amber is rarely faceted. 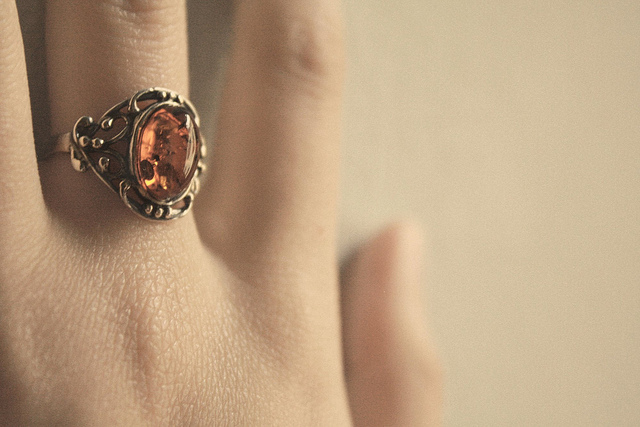 Please Note: Amber is commonly sold by grams, not carats. 1 gram = 5 carats. Colors Yellow, brown, whitish yellow, reddish, cream color, orange shades. Rarely blue, greenish, violetish. Specific Gravity 1.05 to 1.096, usually 1.08. Luminescence Yellow in SW (Texas); bluish white or greenish in LW. 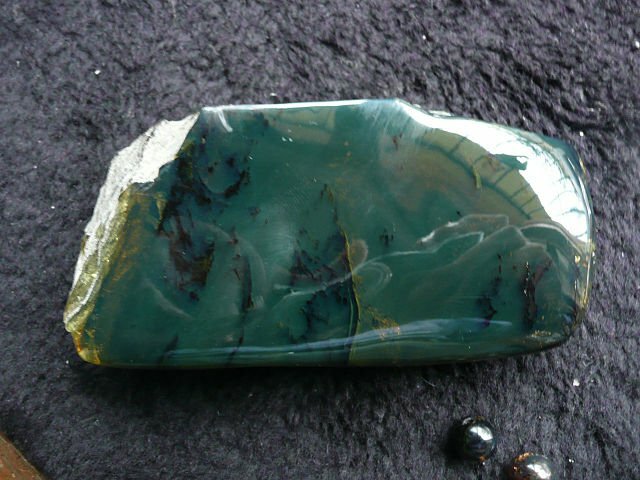 Baltic amber may fluoresce grayish blue in SW. Inert in X-Rays. Sicilian amber is noted for its fluorescence. Approximately C10H16O+ H2S. A mixture of hydrocarbons plus resins, succinic acid, and oils. In sedimentary deposits and on shorelines, due to waves and currents bringing material up from offshore beds. 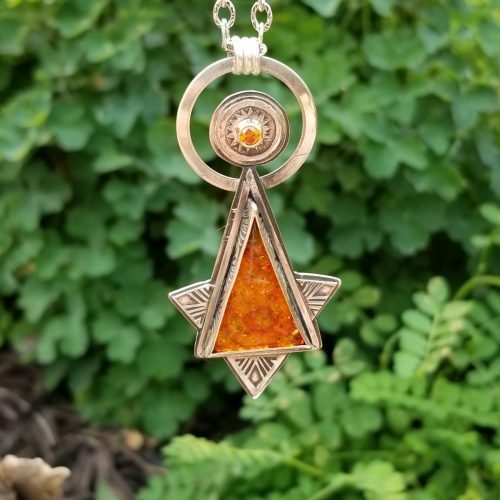 Amber is an amorphous (non-crystalline) mixture of organic compounds, including hydrocarbons, resins, succinic acid, and oils. Most of this substance comes from the preserved resin of the pine species Pinus succinifera. However, other ancient tree species have also produced the material. 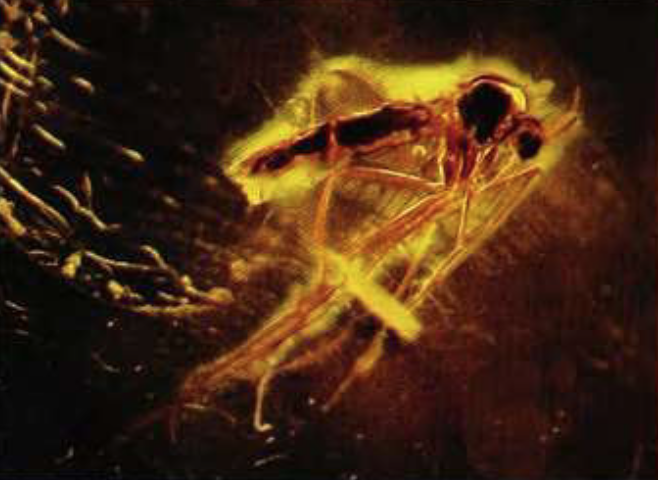 Amber has been preserved for at least 30 million years. Preserved resin younger than that is known as copal (which is also a term used for organic gem material from the copal tree). Although amber is commonly referred to as fossilized resin, it’s not a fossil in the strictest sense. Most fossils begin when an animal or plant is buried in the earth. Over millennia, the organic material in fossils is slowly replaced with elements from the mineral kingdom. In contrast, amber’s organic elements haven’t been replaced. Instead, the resin has undergone a chemical transformation into a polymer, a natural plastic. “Venus figure of carved amber (pendant) from Eastern Europe,” Neolithic period (around 10,200 to 4,500 BCE), by Lisby. Public Domain. Amber is often confused with copal. These are very similar materials with nearly identical origins. The principal difference is age. Copal is just a few hundred thousand years old. Pressed amber or ambroid is created by fusing smaller bits of amber under heat and great pressure. Amber softens at about 150° C and melts at 250-300°C. Amber is classed into various types. The sea type is found undersea. The pit variety is dug up from the earth, especially from the Baltic region. Other types are clear, massive, fancy, cloudy, frothy, fatty, and bone. 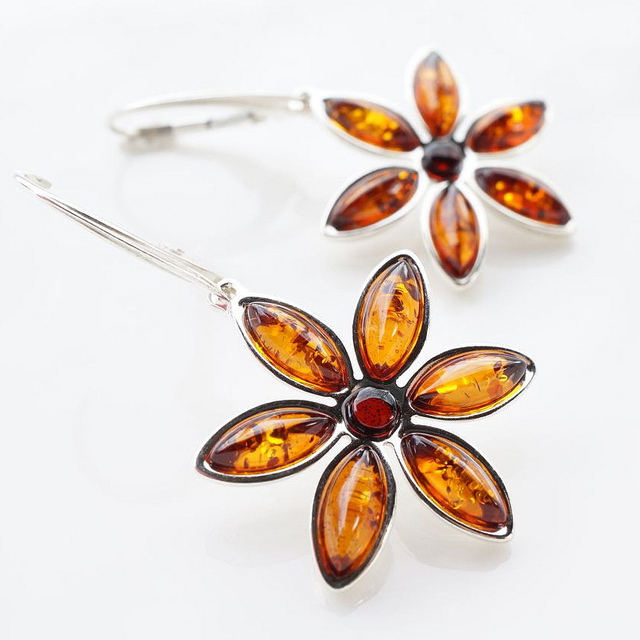 Amber is noted for its inclusions, which are chiefly insects, pollen, leaves, and other organic debris. These bits were trapped in the sticky fluid that oozed from still-living pine trees millions of years ago. These inclusions offer a remarkable view of life in those times. In some of the finer specimens, whole termite colonies have been trapped. The chambers of these structures, created with webbing, are still visible. Nursery chambers still contain egg sacks. Besides termites and mosquitos, many varieties of beetles, spiders, mites, and other insects can be found. Sometimes, a single piece can contain many kinds of these organic inclusions. Star spangles, flattened starburst shapes, are another type of inclusion. These internal fractures radiate from a central point and are caused by stress. While quite attractive, most are human induced. Hence, they don’t fetch the same value as a good-quality insect. Ancient techniques for identifying amber are still useful today. If rubbed vigorously on a piece of wool, the real deal will generate a static charge strong enough to pick up a small piece of ash. When it’s warm enough, it also gives off a distinctive, pleasant scent. These techniques may distinguish the genuine material from plastic imitations (and entertain inquisitive children). A specific gravity (SG) test can also help weed out the plastic imitations. A handy homemade testing liquid can be concocted by boiling water and adding as much salt as you can dissolve in it. This will have a density of about 1.13. Amber, with a SG of 1.08, will float in this solution. Most plastics will sink. However, a few plastics have a density as low as 1.05. Many can have a lower SG than amber if they have air bubbles inside. So, if your sample sinks, you can be sure it’s not amber. If it floats, you need to conduct more tests. Amber and plastic can share many visual characteristics. They can both have a refractive index (RI) of 1.540, so an RI reading is not definitive. Therefore, the next step is likely a hot point test. This is a destructive test, but if conducted with care, it can leave no visible marks. First, find a place on your specimen where a mark would be as unobtrusive as possible. (For example, on the bottom, an edge, or an area with existing scratches). Next, heat the tip of a needle until it glows red. Touch the selected spot just enough to release a tiny whiff of smoke. Now comes the hard part. Smell the smoke. If it’s genuine, it will smell like fine incense. If it’s plastic, it will smell chemical and offensive. (This is another reason to make your test on as small a scale as possible). Distinguishing amber from copal is difficult. They share the same RI, SG, and most other properties. Copal will fluoresce whiter. That is a judgment call based on having seen a sufficient number of samples to recognize the difference. If you’re unable to make the distinction based on fluorescence, you’ll have to resort to a destructive test. On an inconspicuous area of the specimen, place a drop of acetone. Let it sit for three seconds, then wipe it off. Copal will have the surface damaged by the acetone. Amber will show little or no change from the brief exposure. All destructive tests should be conducted only by professional gemologists. Amber can be distinguished from ambroid with a microscope examination. 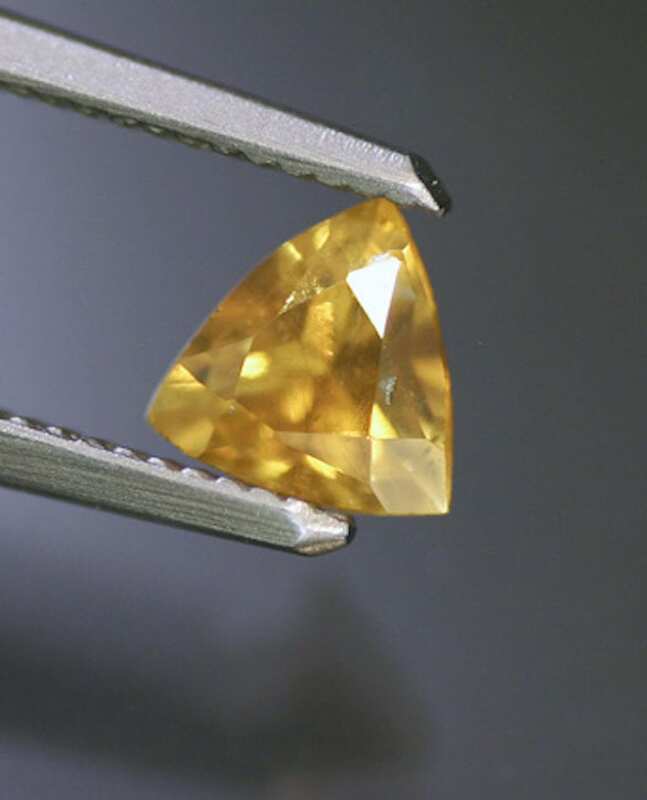 Amber often darkens with age to a fine red-brown color. Ambroid, however, may turn white with age. Plastic and glass pieces are sometimes used as simulants. Amber can be darkened by heating. If done properly, this also creates star spangles. Dyeing is a common treatment. 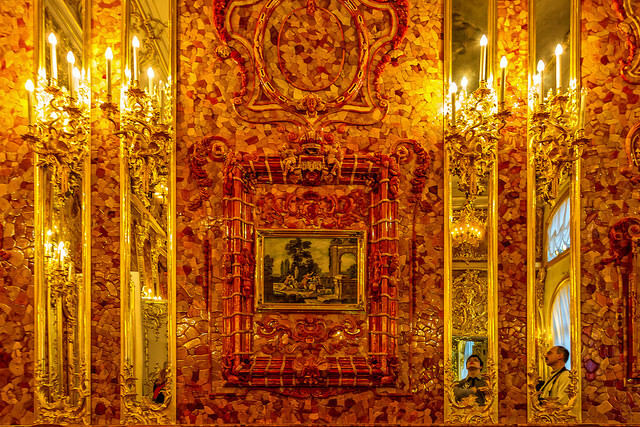 The Baltic Sea Region, including Poland, Germany, and Russia: Most of the world’s amber comes from a region formerly known as East Prussia and now known as the Kaliningrad Oblast, a Russian enclave. Sicily: Material may be opalescent blue or green. Myanmar: brownish yellow and brown varieties: also colorless, pale yellow, and orange. Lebanon: scarce, from very old deposits. Dominican Republic: Mined from sedimentary rocks. Yellow, orange, and red colors. This material often contains well-preserved insects and sometimes displays a strong blueish tone in reflected light. Chiapas, Southern Mexico: produces golden yellow material. Fragments are normally less than half a pound, but pieces weighing several pounds have been found. Avoid rough handling, heat, and chemicals. Amber can be partially dissolved by solvents, alcohol, etc. Never use mechanical cleaning systems. A damp cloth and warm-water detergent is recommended. 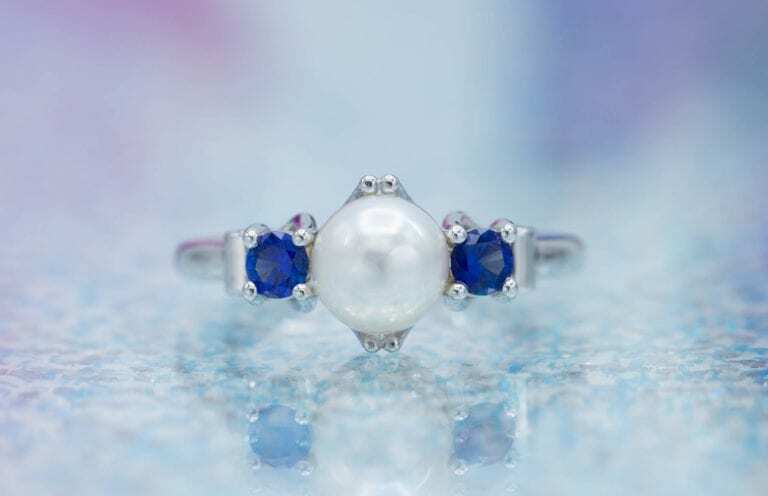 Consult our jewelry cleaning guide and gemstone cleaning guide for more advice.